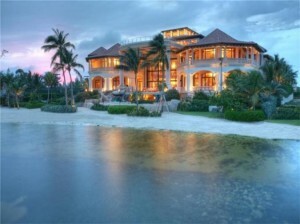 Among the top choices of where people want to the settle in is the Grand Cayman real estate. It serves as a great destination where people can simply unwind, relax and appreciate the natural beauty of the area. One other major reason people are looking to buy Cayman property is because it’s tax free! There are no income taxes, no property taxes, no capital gains tax, the best diving in the Western Hemisphere and all within 3 hours of the greater USA. Purchasing a property is a huge investment, not to mention that the whole process can be stressful especially if you are a busy person to begin with. The best approach you can do is to hire a real estate agent. A real estate agent is equipped with knowledge about the area you are eyeing on. You can simply relay the details of what you would want in a house so that your real estate agent can make a shortlist of properties that will best match your preferences. You will also not need to worry about negotiating with the seller or any paperwork as your real estate agent will handle it for you. March 3, 2014 in Tips & Advice.